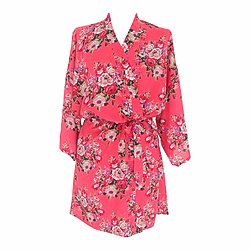 Matching bridal and bridesmaid robes are a fab way to create beautiful memories and pictures of you and your girls on the morning of the wedding. Whilst making your final preparations, styling hair, touching up make up and sipping bubbles, how lovely for the photographer to capture your final girly moments wearing pretty matching robes and raising a glass to your future. You can find the different bridal robe styles on our website, in silk satin or 100% cotton for only £14.99 each. 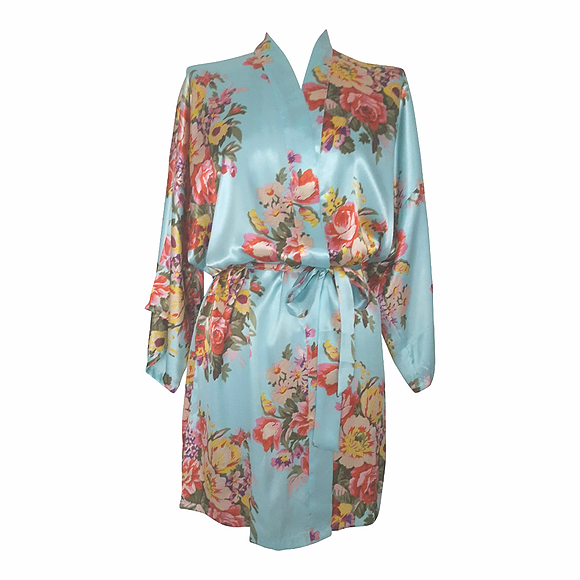 Pictured left is the pale blue silk satin from the Satin Floral Robe collection. Also available in pale pink, hot pink, ivory and turquoise. Save money with multipacks, in your favourite designs. The floral silk, floral cotton and satin peacock are all available in multipacks, so you save money the more you buy. 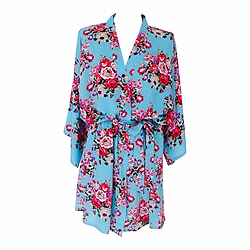 Pictured left the pale blue peaock satin robes, available in multipacks from £29.00. 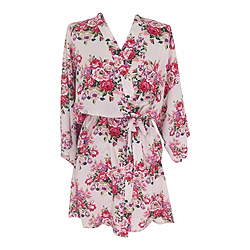 You can even include your little princesses with our new collection of very cute matching robes too! They look super cute and allows the little ones in your bridal party to be part of the big girls gang! Childrens' sizes age 2-4, age 6-8 and age 10-12 only available in ivory 100% cotton at present.